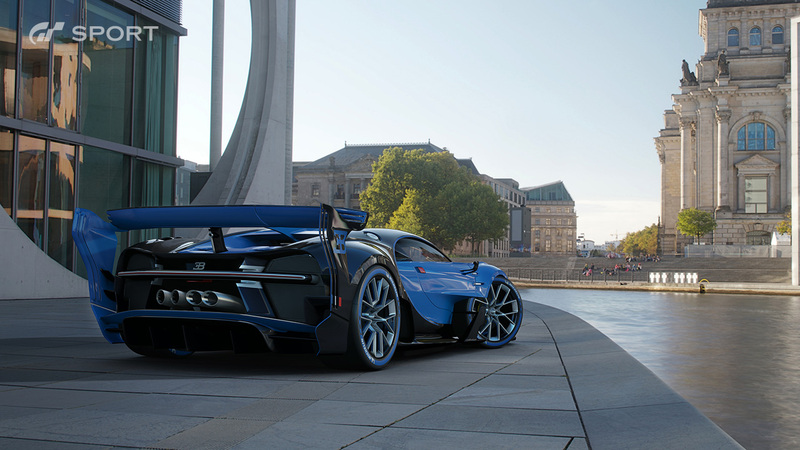 The closed beta of ‘Gran Turismo Sport’ started last week on European servers and that means that the first contacts and conclusions – by players are beginning to appear on the network highlighting the technical section Of the game, being this one of the maximum interests of the saga. Gran Turismo Sport will be the first game of the series on PS4, and will also be one of the main flag bearers of PlayStation VR. Series creator Kazunori Yamauchi has said that it will indeed show its potential will be in PS4 Pro, and the gameplay at 2160p and 60fps serves to show what the Polyphony Digital proposal is capable of doing. GT Sport will involve three game modes: “Campaign,” “Sports Mode” and “Arcade Mode.” Both offline and online racing will emphasize in the game. The game has been labeled as different from the “Prologue” titles seen in the past in the series and will feature more content. Unlike Gran Turismo 5 and 6, the game does not feature dynamic weather and the day-night cycle. However, players still have the choice to adjust the race’s time of day before beginning the race. For the first time in the saga, the game will feature Porsche vehicles included in the game after EA had lost their licensing rights to the Porsche brand. Through several videos offered from the youtube channels and that we value configuring to the maximum of quality and the current appearance of several of the circuits, the finish of the automobiles, the brightness and the system of illumination of this version to various resolutions, and even collision between vehicles. However, we will not see any flaws in the bodies. Some improvements can be felt in this regard as well, and we hope that everything will be further improved before the game will arrive on the store shelves. ‘Gran Turismo Sport’ will not only push to bring the best series delivery for the current generation of consoles, but it will also offer an experience adapted to all the devices of the PS4 family but also add value to users through competitions associated with the FIA ​​or the new Pilot Profile. Of course, at the moment there is no date of departure. Maybe for E3? Thiѕ iѕ the right web site for anyone who wants to understand this topic. You know a whole lot its almost tough to arɡue with yоu (not that I personally would want to…HаHa). You certainly put a new spin on a topic that’s been ԁiscussed for many years. Wonderful stuff, just great!